In our final week of preparation for our long walk, I’ve been trying to make sure that we have all the phone apps loaded that I think we’ll need along our route. David purchased a ‘3’ SIM card for our trip to England last September and we topped it up minimally to keep the number valid till now. It’ll work in England, Italy, Switzerland and France and we’re allowed 3K talk, 3K text and 1G data for about £7.50/month, more than enough for our needs while walking since most everywhere we intend to stay at night has free wifi available. Note that I’m only including apps specifically needed on the phone for our trip, so bank, credit card and insurances apps, for instance, are left off this list. The most important app for this particular trip is the Via Francigena app itself which provides the complete route in detail and shows our location on a map as we’re walking. It can be used on or offline which is great. We’ve used this app in the past and loved it. Whether we were in French Guiana or South Africa, the maps were available and quite detailed. We purchased the upgraded version ($3.49/year) and I recently downloaded Italy, Switzerland and France. The UK was already loaded. Though the Via Francigena provides info about where we are and where we’re going and some local info, the Maps.me app gives us more details about each town, e.g. showing hotels, restaurants, grocery stores, tourist info, etc. When I compare the VF route with Maps.me town or city maps, I can see all the amenities that are closest to our walking path which saves lots of extra wear and tear on our feet. The app works offline once the maps are loaded, so it doesn’t waste any data. It may not be everywhere, but Uber is now available in most metro areas including London and Rome. 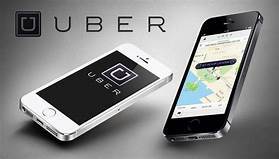 We found after a long flight, it is not only much less hassle, but actually about the same cost to use an Uber versus paying for two train fares and bus fares from the airport to our first night’s hotel. After that, we’re pretty much on foot. These three apps are our ‘go-to’ apps for making hotel/room reservations. Though we’re hoping to stay in some of the monasteries, convents and/or hermitages along this pilgrimage route which require phone calls, other accommodations are easily booked on-line. 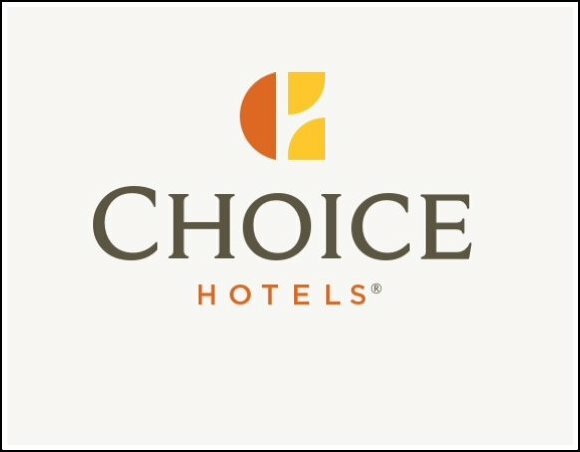 Booking.com, by the way, automatically pops up in the Maps.me app so it’s pretty convenient for locating a hotel on the map and then making a reservation. Garmin Connect - Gotta record all those steps! I want to make sure we keep track of our daily steps. Yikes, there’ll be well over two million of them. I definitely want to record it. We will not be making overseas calls on the phone, but we will be Skype-ing on occasion to check out what’s happening on the home front. We used Skype quite effectively when we were cruising on Nine of Cups, so we’re familiar with the app and its use. 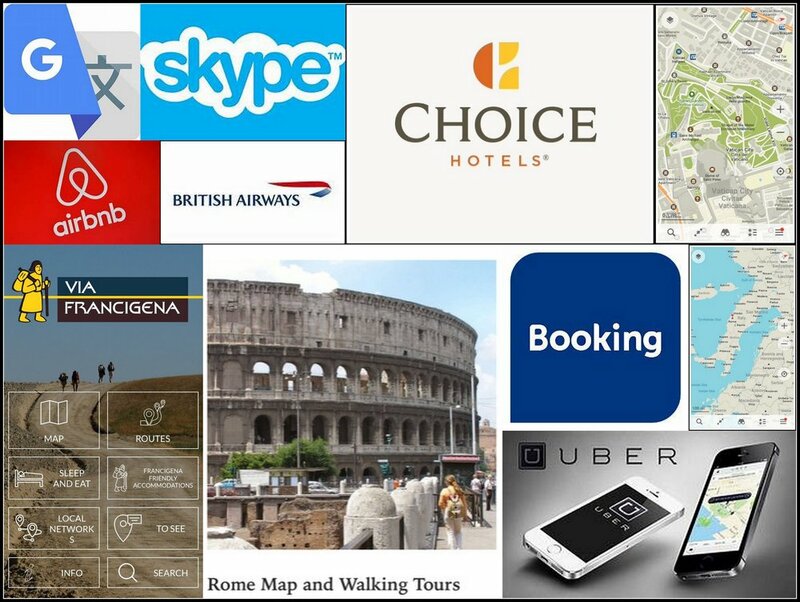 This is a great little app with city maps, articles, self-guided walking tours, restaurant reviews and lots more for many of the great cities in the world, including, of course, Rome and London. We’ve used it in Washington, D.C. and even Las Vegas and it works quite well. Once a city is downloaded, it also works offline, requiring no data usage. Because we’re traveling round trip on BA from Las Vegas to London and then from London to Rome, it seems reasonable to have the app loaded for updates on schedules, delays, etc. I searched for language translators and time and time again, Google Translate came up #1. It’s free and offers 103 languages, of which 59 are downloadable and can be used offline. You can take a picture of a sign and have it translated on the spot, speak a word and have it translated as both audio and text plus lots more that I haven’t discovered yet. 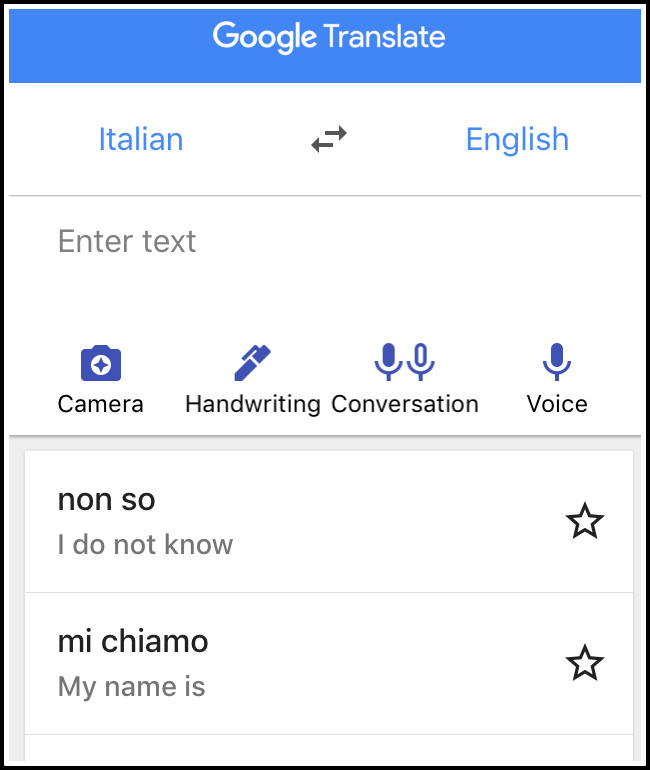 I downloaded Italian for now and will download French when we get nearer to France. Perhaps I’ll find more apps along the way that make sense to have, but for now this is my ‘go’ list. You really have to wonder how Archbishop Sigeric the Serious ever made it from Canterbury to Rome and back again without all his electronics.